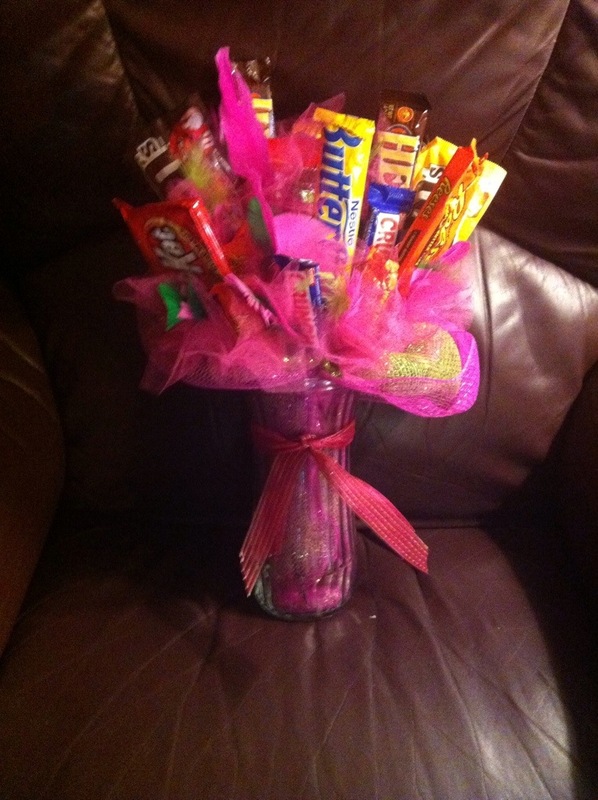 One of my favorite things to give is candy bouquets. 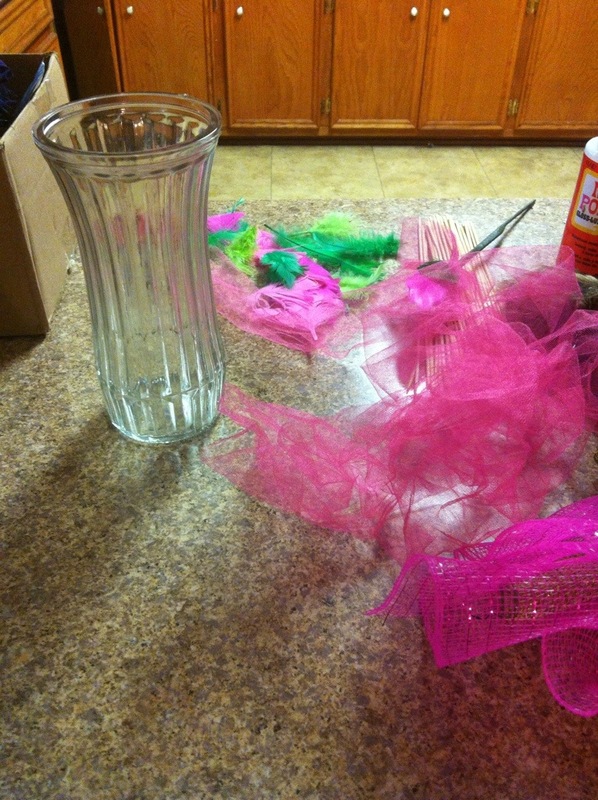 With each one I make, the more I learn. 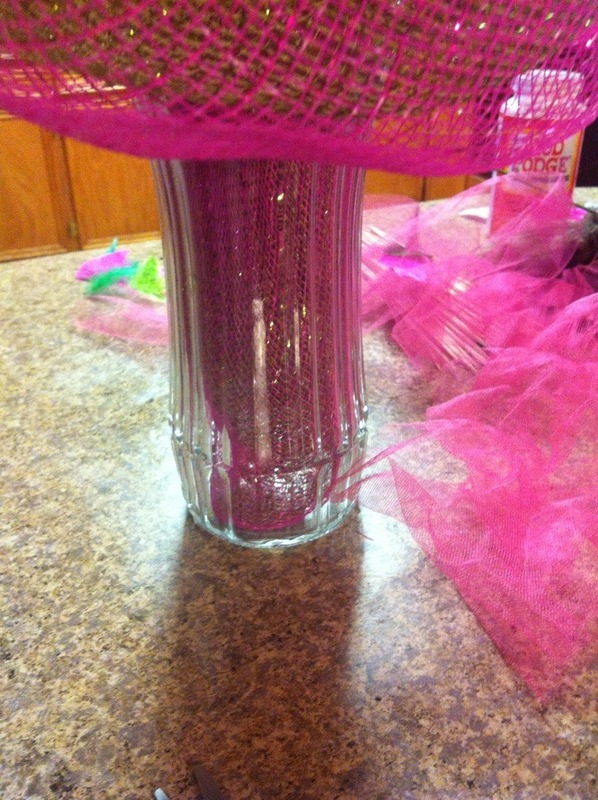 I discovered by accident one day that wire mesh not only dresses up the vase, but helps hide the picks that hold the candy. 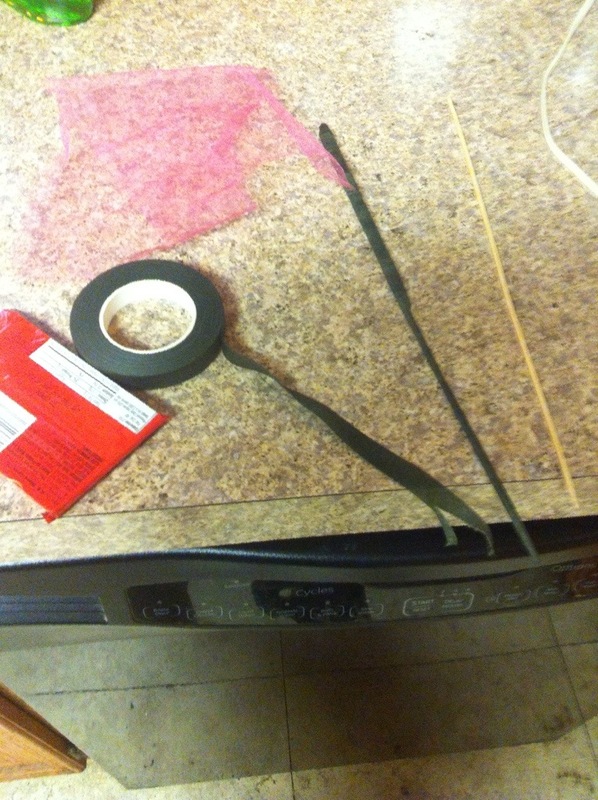 To make the sticks holding the candy sturdier, I use floral tape to combine a floral pick and a wooden skewer. Both are inexpensive and work well together. I use a hot glue gun on low temp to glue the candy to the picks. 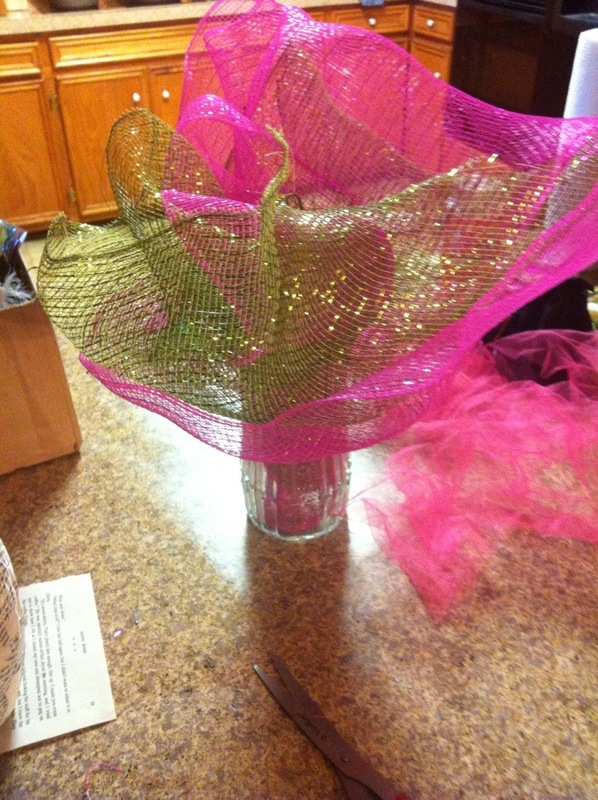 On this particular candy bouquet I used tulle and feathers to dress up the bouquet.